The Port of Rotterdam wants to make itself shipshape for self-driving ships by 2030. The largest port in Europe, Port of Rotterdam, is working with IBM Corp. (NYSE: IBM) and Cisco Systems Inc. (Nasdaq: CSCO) on a broad project using Internet of Things sensors and devices, along with WiFi and cellular communications, to support autonomous ships, according to a report on Smart Cities World. The port will use data about visibility, wind speed and direction, tides, water salinity and currents to calculate ideal conditions for ships to enter the port and optimal clearance height for ships, lowering costs for the port and more than 130,000 ships that use the port annually. Calm water and weather reduces fuel consumption and other costs and improves safety, according to Smart Cities World. Sending ships to berths and loading and unloading containers will be done autonomously using artificial intelligence to optimize cargo movements, according to the report. 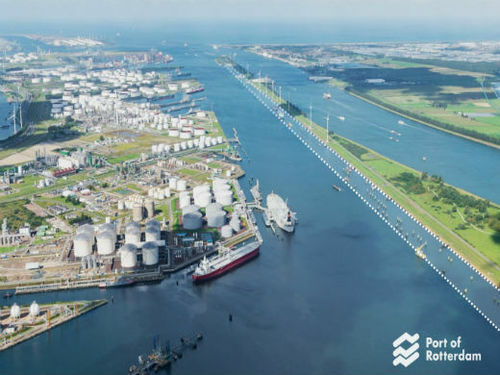 As an initial step, the port plans to create a digital twin of the 42-kilometer port using IBM IoT -- an exact digital replication of port operations to reproduce weather and ship movements, according to an IBM blog post signed by Rotterdam officials. Making ports more intelligent can have a big impact on the world economy. More than 85% of all globally traded goods travels on ship at least once in their lifecycle. Rotterdam employs 90,000 people and contributes 3.3% of Dutch GNP, according to the IBM blog. The port's embrace of IoT, analytics and AI is just the latest step in a history of shipping innovation. "For centuries, the shipping industry has embraced a tremendous pace of innovation and change in the transition from sail to steam and with advances in technology such as radio and radar," according to the IBM blog. Read more on Smart Cities World and the IBM blog. Wow! I wasn't aware of this tracking site. I would expect fuel savings to be one of the primary drivers for tracking data this way. It does seem entirely within current capabilities to have autonomous ship movement. An interesting website allows anyone to track commercial and private ships using their onboard location devices (marinetraffic.com) and gather all sorts of information including speed, course, and destination. I do wonder if they're working on fuel savings as I would guess that's one of the biggest shipping expenses. I'm not sure we're ready for self-driving ships. How do they intend to keep a ship on course should they veer off on the way to the proper part of the port?